Today Jacob is back on the program with Riley. 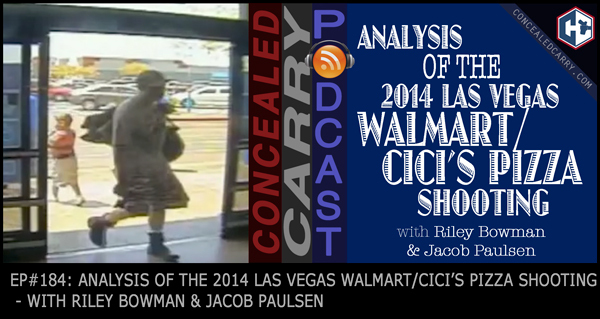 Today we take a few questions from listeners before we dive in on a detailed analysis of the June 2014 shooting that took place at a Las Vegas Cici's Pizza and Walmart. Many lessons to be learned from this situation that cost 2 police officers their lives and the life of a good samaritan concealed carrier. Don't miss this one!!! Press ‘PLAY' to listen now! Today we take questions from listeners and break down a shooting that has LOTS of lessons to be learned for CCWers.